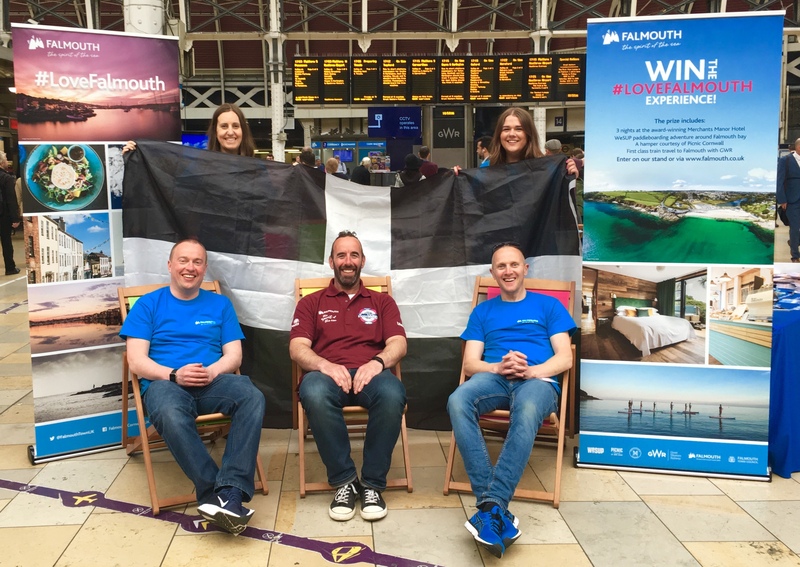 Award-winning Cornish food, branded deckchairs, films and shanty song filled London Paddington station last week, as the Falmouth Town Team secured an opportunity to showcase Falmouth to thousands of rail passengers as part of the annual, UK-wide community Rail in the City initiative. 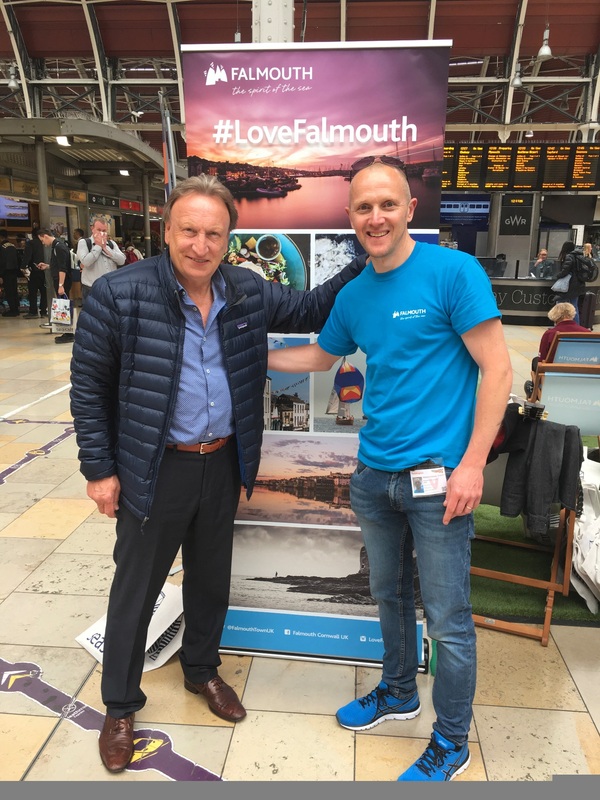 Working with the Devon and Cornwall Rail Partnership and Great Western Railway (GWR), Falmouth was given a prominent location on the busy main station concourse at Paddington, which receives a staggering 160,000 passengers a day. The Falmouth Town Team, comprising BID manager Richard Wilcox, town manager Richard Gates and events & marketing coordinator Naomi Morant, were joined by others who gave up time to help the Falmouth cause; Sioned Parry-Rudlin, proprietor of the Merchants Manor Hotel in Falmouth, Will Keating a musician who also sings with the Falmouth-based shanty group The Oggymen and Rebecca Catterall from the Devon & Cornwall Rail Partnership. In addition, 1,000 lucky commuters were given a goody bag full of Cornish food and drink and promotional information. The reusable jute bags were donated by Seasalt and painstakingly hand-packed by the Town Team with a variety of Cornish produce including Buttermilk Fudge, Furniss biscuits, Tregothnan Tea, Cornish Tea Trading Company and the Cornish Sea Salt Company. “What a fantastic and productive day,” said Wilcox. 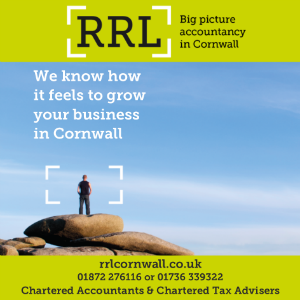 “We engaged with thousands of people, many of whom had an affinity with Cornwall and Falmouth, and wanted to find out more about visiting. We met with the great and the good: a war-time evacuee to Falmouth, Chelsea pensioners, a TV presenter, a film-crew from Japan looking to visit the west country and even a football manager!